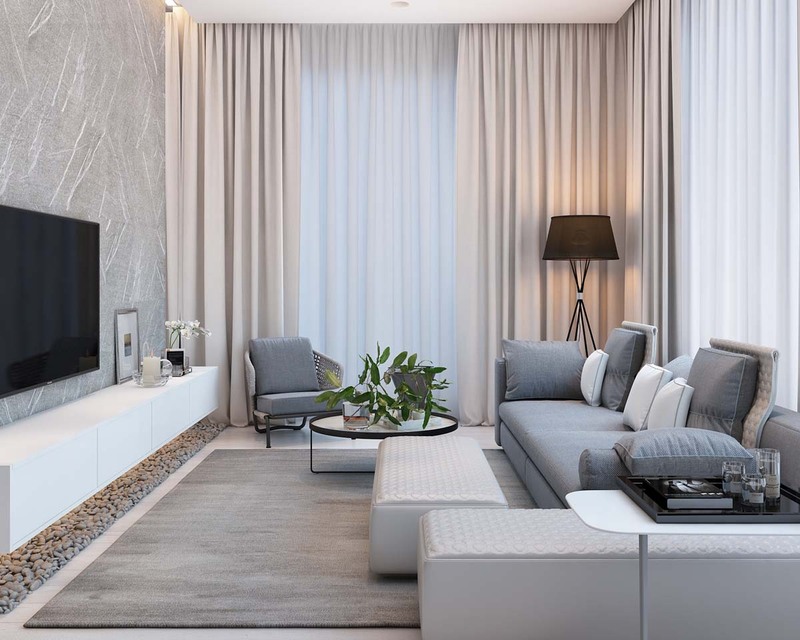 I remember the first time when I visited my current house with the real estate agent, I was extremely impressed by the beautiful color scheme, layout and overall infrastructure of the house. But when I entered the kitchen, my heart was literally drowning with grief, because it was quite dingy and dark and in desperate need of an ideal uplift. 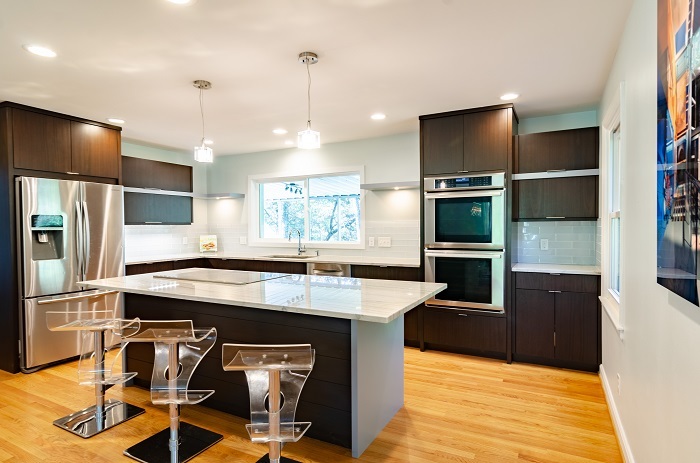 Well, I knew I could remodel it in a perfect way with the help of professional kitchen contractors, as I am not much efficient to perform DIY tasks so getting the help of contractors was a ‘must have’ thing for me. But at the same time, I wanted to save money as well because I was on a limited budget and couldn’t afford to spend big bucks, so I applied these ways and save big amounts. Yes, sticking with an original layout can save you a lot of money. I planned to change it a bit, but it would also have required moving walls, changing floors, plumbing, and moving doorways. And this would considerably add to enough costs. So, instead of changing it completely, I preferred decorating it with the same existing layout. By doing this, I saved more than $500. Subway tile is usually considered as the most affordable option available. I considered I loved the clean, fresh and classic look that it gives. 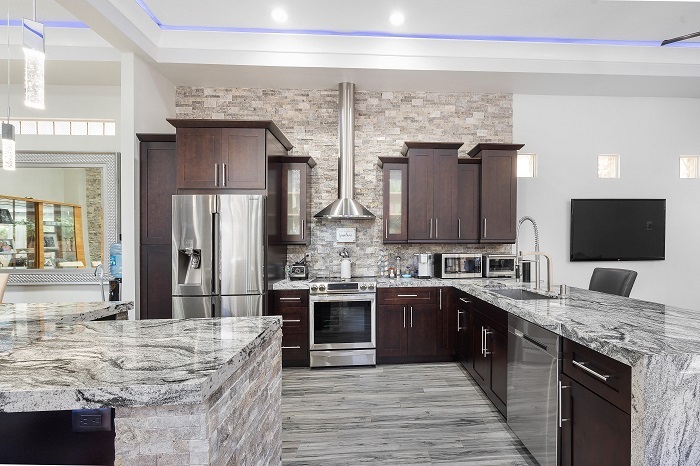 I also spent a little amount and then instead of choosing the subway tile, I preferred using glass subway tile which creates more elegance and beauty in the kitchen. 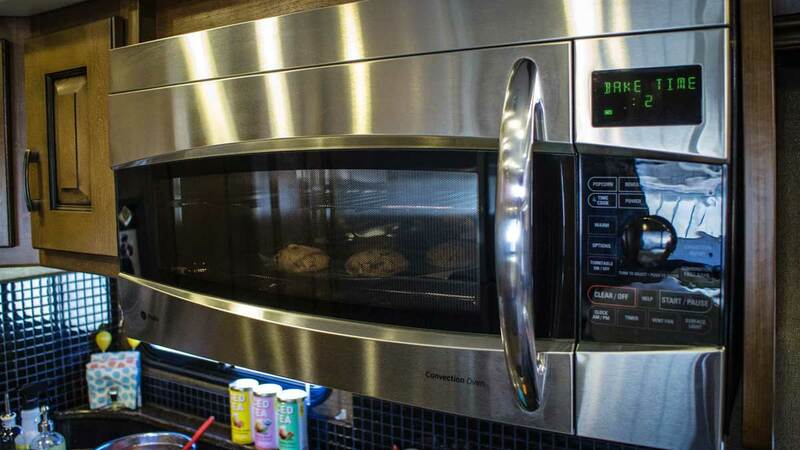 A self-mounted microwave usually consumes less space and available at fewer costs. I never wanted a full range of big microwave as it consumes more space, and much expensive. So, attach the over the range microwave to the underside of one of our kitchen cabinets. I ended up loving this type of microwave, as it saved me from buying the microwave cabinet that I needed to put on. Moreover, the microwave also looks clean if it’s without the shelf. 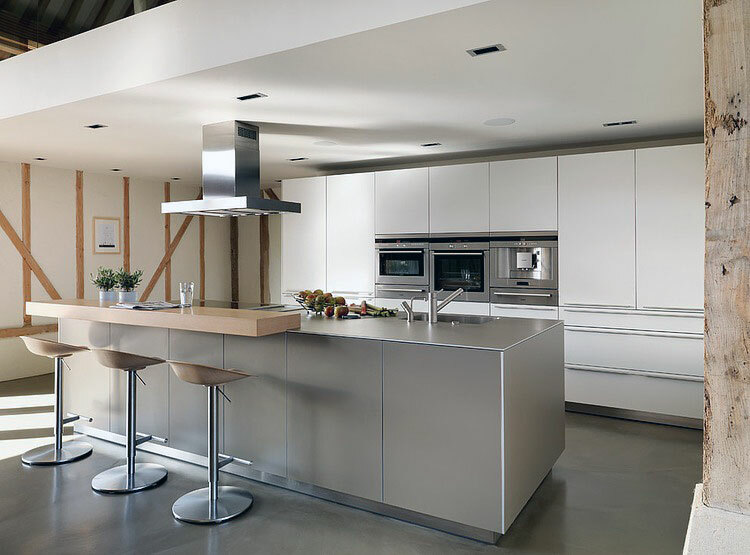 Because of the layout of my kitchen, I planned to get a sophisticated wall range stove exhaust hood, and not considered the under-mount style. But unfortunately, when I discovered it’s actual price range, I got to cancel the decision. After careful research, I got this in a used condition and saved almost $150. 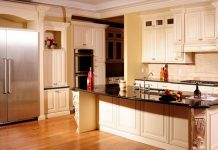 The high price tag of custom kitchen cabinets simply made me consider choosing ready to assemble cabinets that are easy to install and inexpensive as well. It not only saves me money but helped me maintain the shape of my kitchen in a super cool way. I was happy with the shape of my white shaker cabinets which were easy to clean and brush. Applying frugal ideas also need some research and proficient knowledge, because if you are making a wrong decision and choosing costly items, then probably you won’t save enough. 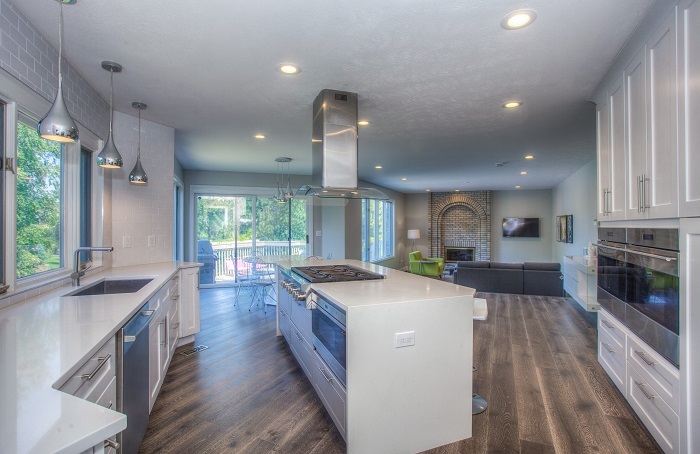 That’s the reason, suggestions of home renovation contractors always matter as these professionals can guide well about all kinds of remodeling issues.